Often outshone by its biggest competitor, Rolex, Panerai watches should not be overlooked. 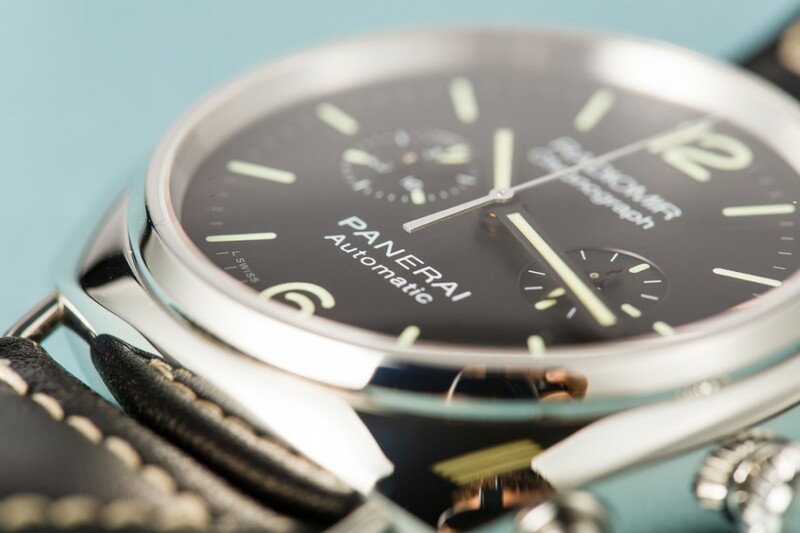 Founded in 1860, the Panerai company was opened by Giovanni Panerai in Florence, Italy. What started out as a small family owned business soon expanded to include Florence’s first watchmaking school. Giovanni Panerai’s watch business ultimately became one of the world’s leading luxury watch brands. However, Panerai watches weren’t crafted with only luxury in mind. Panerai became the official provider of watches for the Italian Royal Navy. 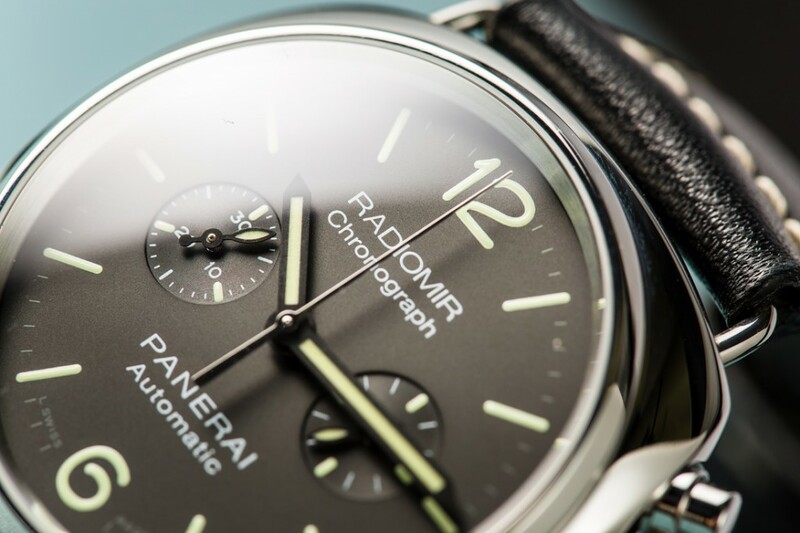 In 1916, Panerai patented the “Radiomir” design, and the first one was produced in 1938. These original Radiomir watches were finished with a radiomir powder that increased visibility and allowed for underwater use, making them the perfect watch for the Italian Navy. 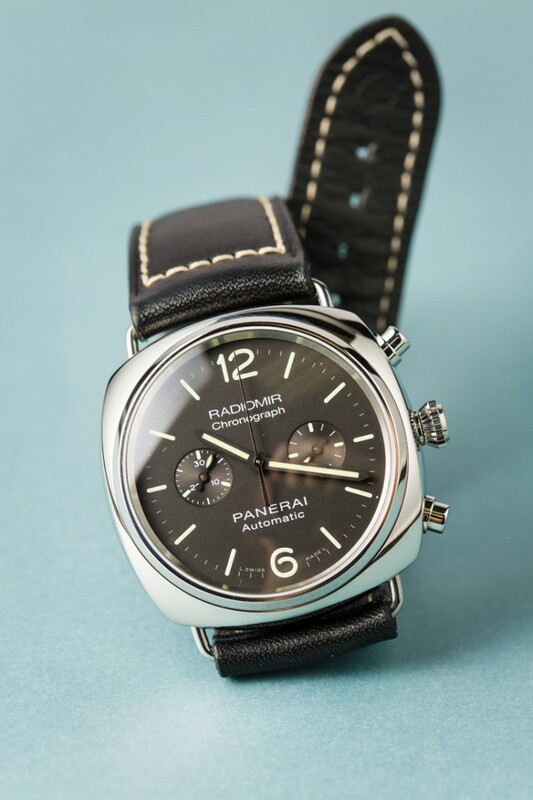 This particular timepiece, the Panerai PAM00369, is a Radiomir Chronograph. Current Radiomir Chronographs still possess many of the same features as the original model: a cushion-shaped steel case with wire lugs attached and a water resistant strap. 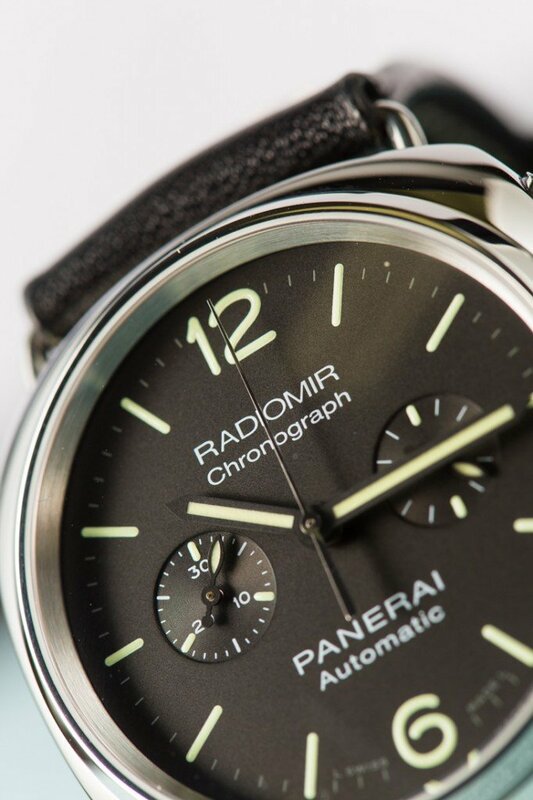 The PAM00369 is an elegant combination of the historic Radiomir design and modern technology. This model, whose first year of production was in 2011, saw some new updates. 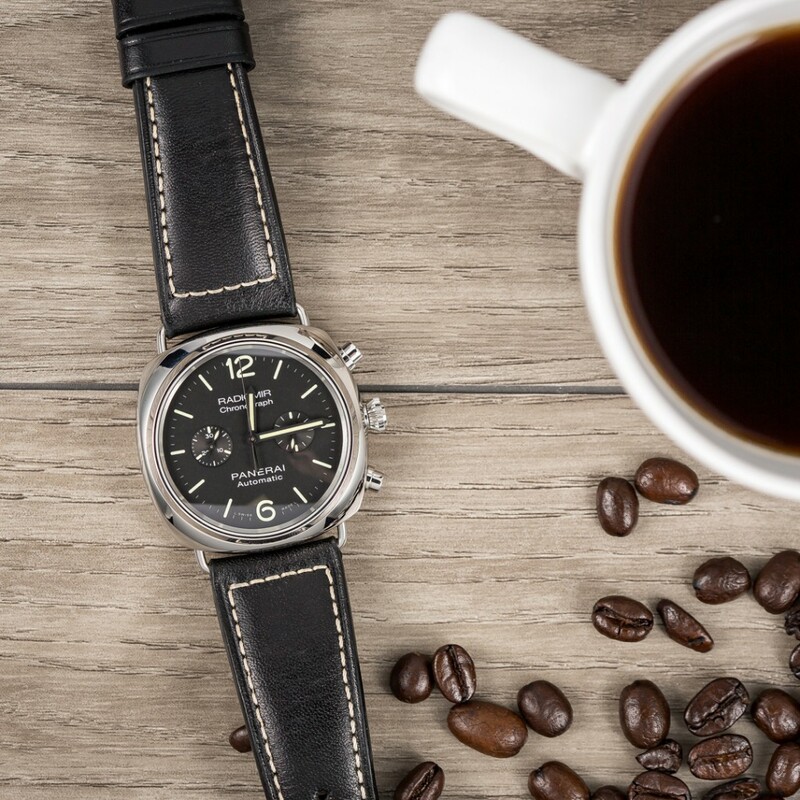 Unlike the models that came before it, which were powered by the Panerai OP XXII calibre system, the PAM00369 uses the Panerai OP XXIII calibre self-winding system. The monomettalic Glucydur® balance, the Incabloc® anti-shock device, and the use of 37 jewels make this timepiece highly durable and mechanical shock resistant. 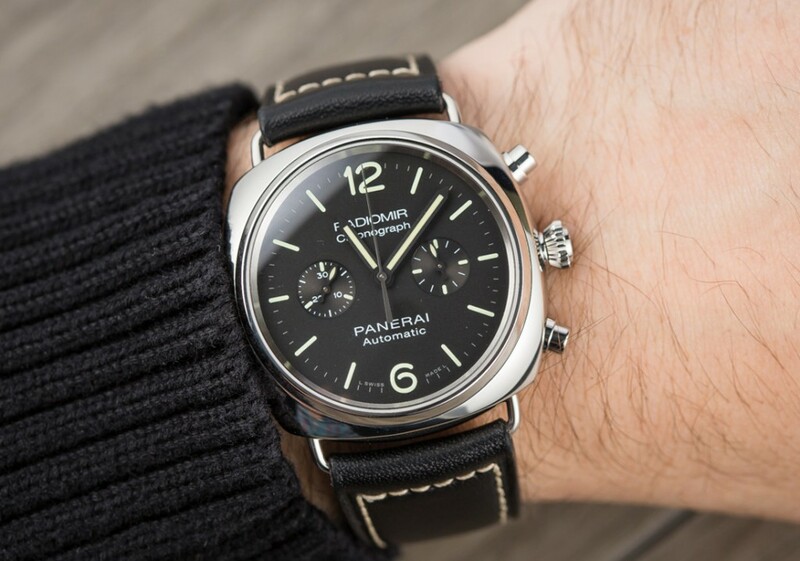 Part of the Panerai Contemporary line, which is essentially the backbone of the company, the PAM00369 features a black leather strap with contrast stitching and a case that is water-resistant up to 100 meters, or 330 feet. This case, which is made of stainless steel, is 42mm in diameter and has removable wire loop strap attachments. The sleek, matte black dial with luminous hands has two sub-dials. One is located at the 3 o’clock position, while a 30 minute counter is located at the 9 o’clock marker. This beautiful dial is protected by 1.5mm thick anti-reflective sapphire crystal. 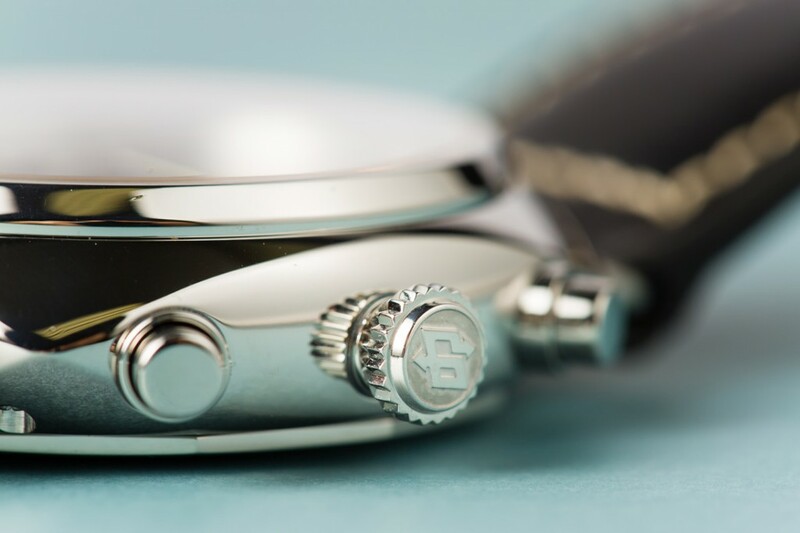 Surrounding it is a fixed, polished steel bezel, a personalized OP winding crown, and polished steel push-pieces. The Radiomir is a classic design that has been around for upwards of seventy years. What sets the PAM00036 apart from others is its ability to effortlessly maintain the vintage design of the original Radiomirs, while utilizing modern technology. The durability and the style of this watch make it the perfect accessory for both work and play.